The team made a PR stunt by pretending to do a scam exit. Our Vision: "Cryptocurrencies for Everyone!" savedroid, the award-winning German FinTech specialized in artificial intelligence (“AI”) saving technology, has geared up to democratize cryptocurrencies: savedroid will create a unique AI fueled ecosystem of crypto saving and investing for the masses. Users will profit from easy access to AI-based crypto saving plans in Bitcoin, Ethereum, Bitcoin Cash, Ripple, Litecoin, IOTA, Dash etc. and superior crypto investment opportunities, such as portfolios, derivatives, and ICOs, without any technological adoption barriers. savedroid eliminates today’s complex and painful processes by creating a smart User Experience (“UX”), which conveniently auto-converts savings to cryptocurrencies, securely stores them, and makes them easily accessible, tradeable, and spendable. 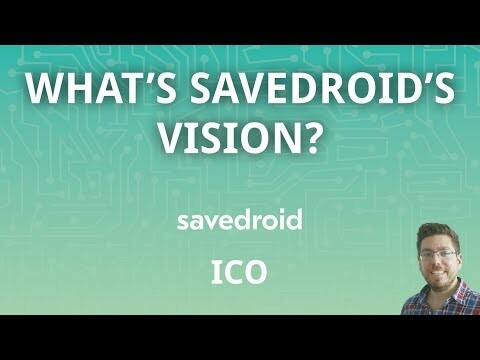 Hence, savedroid is the first German ICO1 driving crypto inclusion. savedroid will leverage its existing core assets of state-of-the-art AI technology and great UX based on maximum simplification and emotional gamification to deliver this exceptional value proposition. In fact, savedroid is the very first ICO of a German stock corporation that follows German legislation and regulation to provide participants with the highest level of security. So, join us in making the crypto world accessible for the masses and finally democratize financial services: Give power to the people! What about competitive analyses in the wp and the alpha? Solid, massive team. Nice to see some German projects coming through the ICO funnel. I like the concept, it's not new - there's a lot of projects wanting to simplify the process but this has a nice twist to it. Having said that, how will the savings accounts be affected by massive dips in Crypto like we had in January... shorting? I suppose. Good luck all. Good team, could use a more robust analysis and an alpha/beta product. Source 1: "SCAM: Savedroid Founders Actually Announce ‘Fu** You’ Exit Scam Via Social Media – The ICO Journal"
Guys how you can rate this project 5/5/5 or 4/4/4? ICOBENCH team, please pay more attention to experts verification process and select them more thoroughly !!! Great team with the proper frameworks in place. The project vision is decent as well. The only problem I see is that it is built on ethereum. What will happen when something silly like cryptokitties grind the ethereum chain to a halt again? A serious team, but not enough analysis. Solid team, great vision, but probably need to reconsider the business model. Apart from that, I think they're great. Good vision, but lacks analysis. Product - investment related platforms have great potential as they are disrupting many trillion market. Base app is already on the table, waiting for crypto add-on. Pure exit SCAM. CEO posted beer photos from the beach in Egypt. The team looks great, vision and product seems to be good, but some what similar to some of the earlier projects. Good luck!